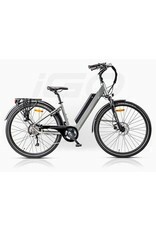 The 2019 iGo Erö Electric bike delivers on performance, style and ultimate riding pleasure. 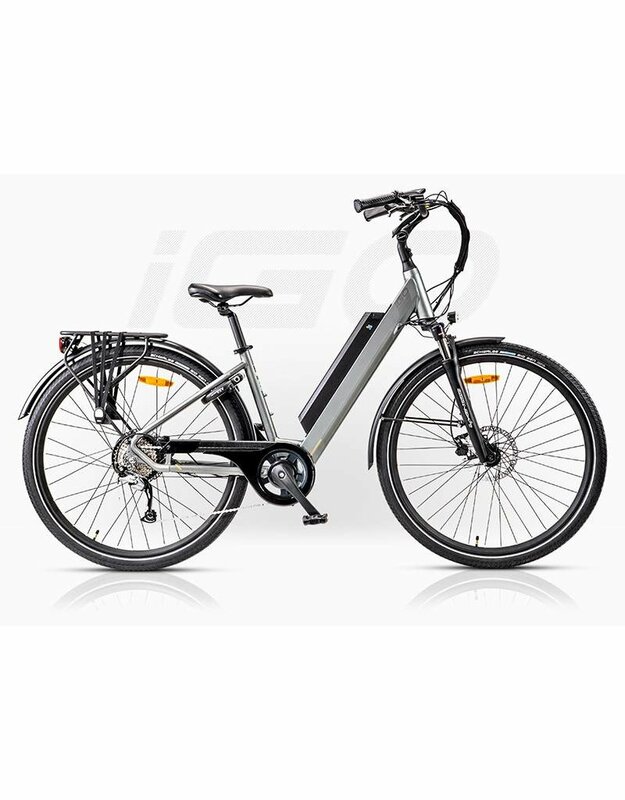 This performance, luxury ebike was designed on iGo's Ergofit platform being multi adjustable to anyone from 5 ft tall to over 6 ft. Its sleek and modern appearance is underlined by the self-supporting fenders and carrier system. New lower step through frame for easy mounting & dismounting. 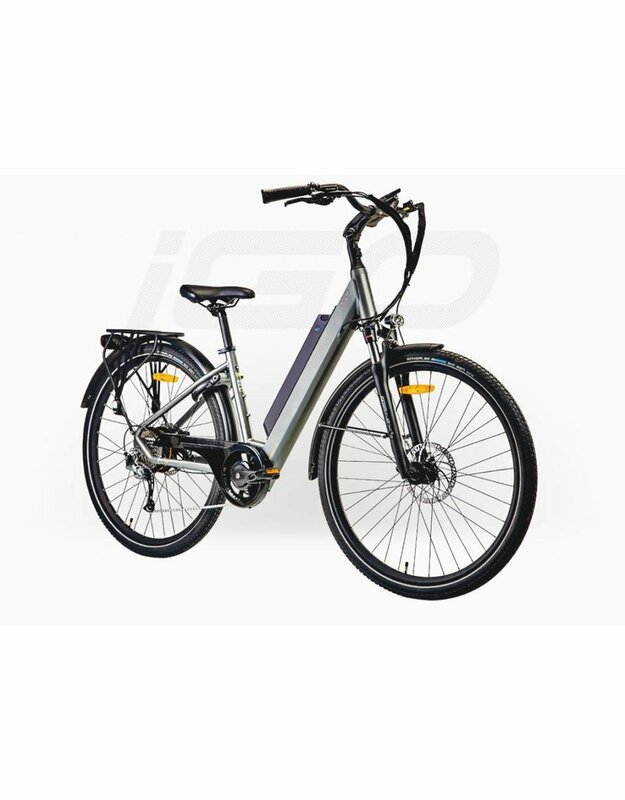 Powered by our 500W (650W peaks) geared hub motor which provides 25% more torque and 48V Samsung in frame lithium battery with standard, industry leading 14.5Ah of capacity, for up to 90+ km per charge*. The list goes on. Suntour suspension fork with lock out function, a diagnostic LCD display with 8 levels of Auto Tune power assist & on demand any time throttle, & Schwalbe Big Ben 700x48C puncture guard tires, 28”x2”. The Future is definitely electric. The lightweight Erö frame is made from 6061 aluminum alloy and offers great balance & maneuverability since the center of the bikes weight is exactly at the saddle. The Ergofit design provides less obstruction while mounting & dismounting, and in conjunction with its tooless multi adjustable stem and seat configuration offers an extremely ergonomic and comfortable riding position to anyone from 5 ft tall to over 6 ft. The Erö is powered by a 500W geared brushless hub motor is extremely quiet and offers great hill climbing ability . 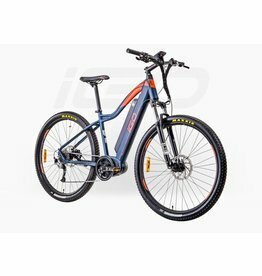 It will provide up to 20 mph (32kph) and is more than capable of carrying loads on both the front & rear racks while offering responsive immediate power. The Erö is powered by a Samsung cell 18650, 48V battery with a standard industry leading 14.5Ah, 696Wh of capacity. 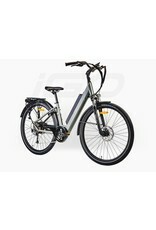 (Optional 17 AH battery Upgrade available for over 100 km /charge*)The battery is located in the down tube to offer exceptional balance over ebikes with rear carrier mounted batteries .It can be charged on or off the bike, locks for security & is equipped with a USB receptacle for powering a smart device. The Erö is equipped with a Shimano Altus 9 speed derailleur & trigger shifter for excellent gearing compared to most other ebikes only offering the basic 7 speeds. Great stopping power from the Tektro Auriga hydraulic disc brakes, front & rear with 180 mm rotors. The Erö is equipped with the amazing Schwalbe Big Ben puncture puncture protection. A fast-rolling and comfortable performance tire designed specifically for ebikes Excellent ride quality on road or gravel terrain. 700C x 48C, 28" x 2"
Rear pannier ready custom cargo rack, rear bungee straps, front & rear custom fenders, powerful front & rear LED lighting, Promax adjustable tooless stem, chain guard, heavy duty side stand. 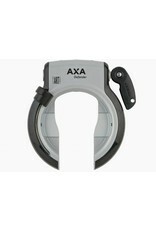 The Erö is equipped with an AXA Defender high quality frame lock. 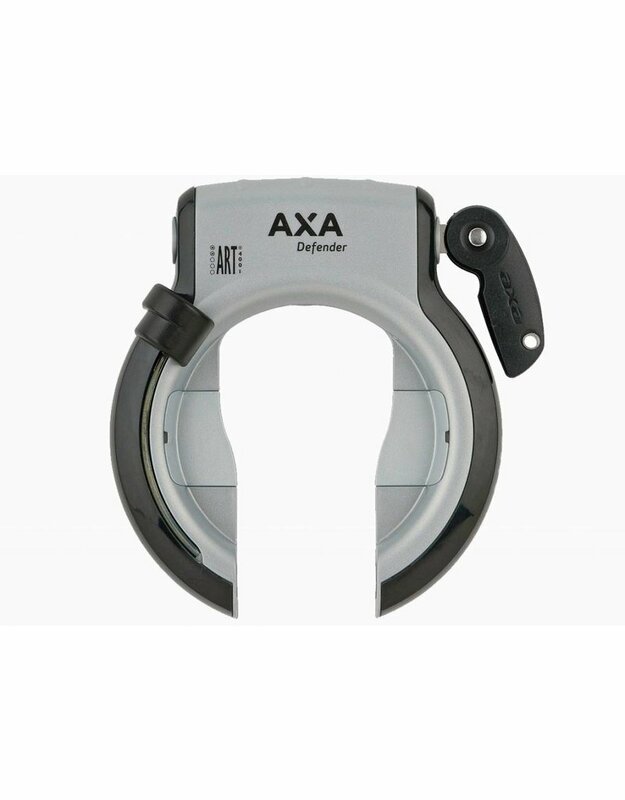 Featuring an innovative design and the option to link a plug in cable or -chain to the lock so you can lock your bike to a fixed object.